Sight word practice is never ending. There are so many different Sight Word Activities to practice and students need that practice. Over. And over. And over. It is important for students to practice in all different ways. I've made it easy for you today by putting many of our sight word posts, all in one spot. Scroll down and find ones that interests you. There is a balance of printables and hands on ideas. Dolch sight word practice that is as easy as using these printables. There is a different focus word for each page and they are broken down by level. A fun hands on way to practice letters and making sight words. These can be used year round but are even more fun in the spring and summer in a garden/outdoor/dinosaur sensory bin or hidden around a courtyard or playground. These cute pumpkin mazes are ideal for the fall and Halloween. Seasonal sight word practice - so fun right? These can be used with bingo/dot markers, crayons or laminated and used with mini erasers or other manipulatives. As the weather gets warmer, it is time to mix it up and practice sight words outside. These would also be awesome ideas for students to do at home during the summer or during a summer tutoring session. Keep them practicing with some hands on outdoor fun! FREE - that's right. 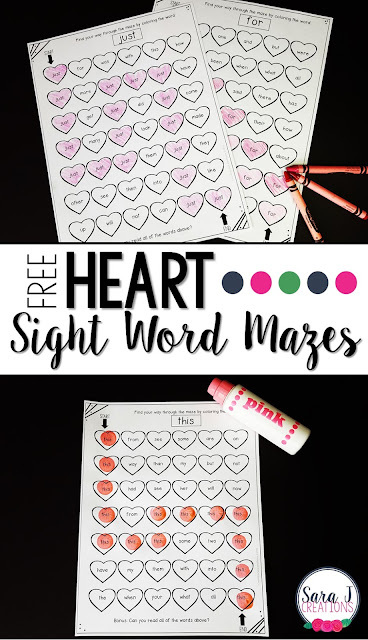 Some more free sight word practice but this time with a heart theme which makes it perfect year round but especially in February for Valentine's Day. Five easy but hands on ways for students to practice sight words. These make perfect word work activities or centers. Don't forget to grab your freebie! Just like their pumpkin and heart counterparts, these apple mazes are sure to engage your students during the fall and back to school season. No prep and lots of sight words to read! Yes, free! Yes, Mega Bundle. 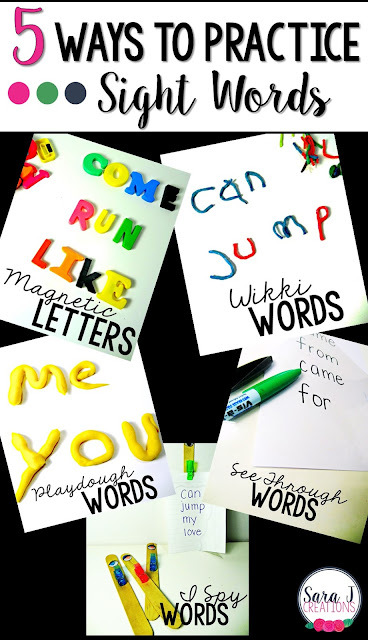 That's over 75 pages of sight word printables - from practice pages, to games, to generic word practice to playdough mats. This freebie has it all! 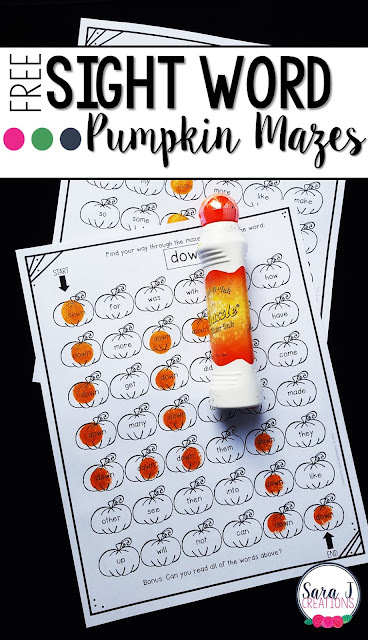 If you loved the apple, pumpkin and heart sight word mazes, you are going to LOVE this. Sight word mazes for each month of the year. And they are EDITABLE. So you add the words your students need to practice, the mazes populate automatically and you print them right out. So easy and fun!